Sri Adi Sankara established Sri Kanchi Kamakoti Peetam. He travelled the entire Bharatvarsha on foot, teaching the principles of Advaita - the oneness and total unity of all existence. 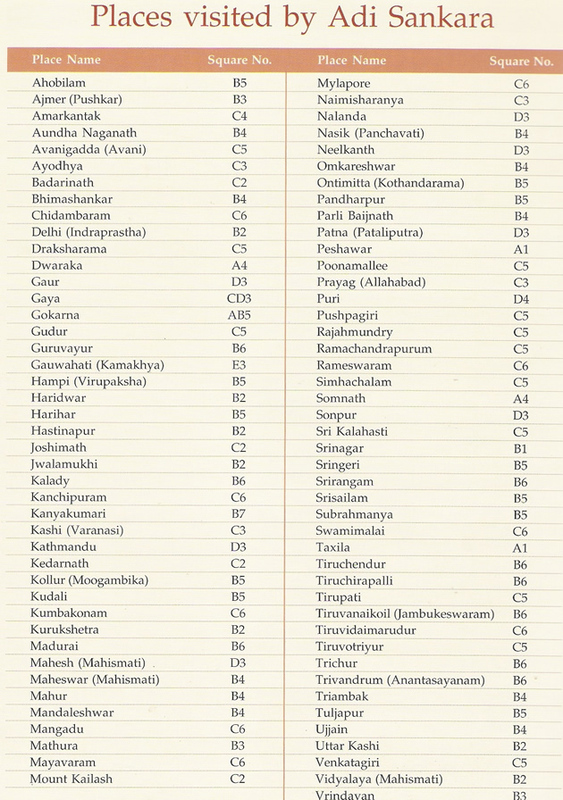 Below is a list of noted places visited by Sri Adi Sankara.